Free halftone template design with a wave of rolling dots on the left side and a sample text layout on the right. 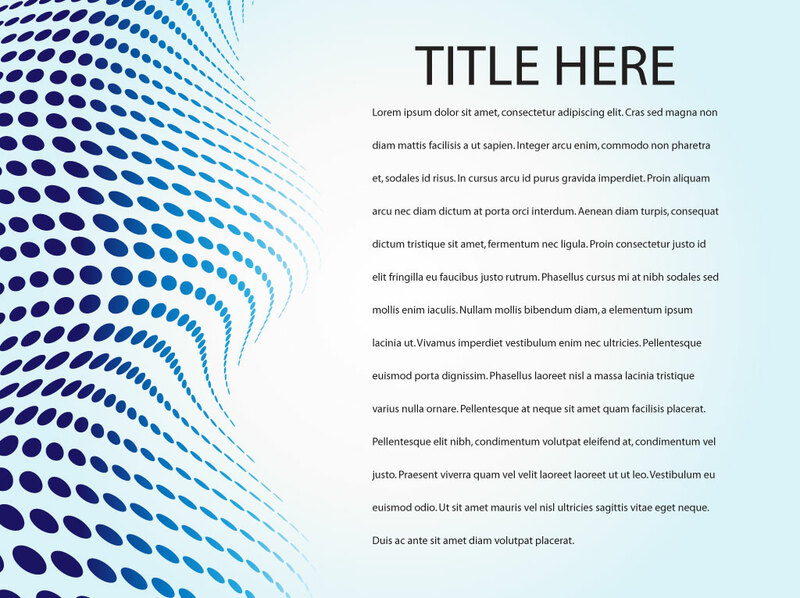 Vector graphics come set on a light blue gradient background image. The flowing elliptical dots move like liquid and will look great as modern business cards, informational postcards or tech industry flyers. Tags: Blue, Business Cards, Dtp, Flier, Flyer, Layout, Slogan, Template, Text.